A closer look at how the review into Unity Center complaint-handling gathered steam. On Thursday, Multnomah County placed two managers on leave in the wake of a newly retired investigator's account of how complaints of abuse and neglect at the regional psychiatric facility, the Unity Center for Behavioral Health, were internally muzzled and ignored. Now the county is trying to figure out why despite being the state's designated mental health authority, its own managers seemingly stood by as complaints rolled in about the facility, which Legacy Health opened in January 2017. Last week, the county issued a statement saying an internal review it launched days earlier of the Unity situation had expanded, and two managers had been placed on paid administrative leave. The two were David Hidalgo, the county's director of the Mental Health and Addiction Services Division, and Joan Rice, the division's Quality Manager. The county's review was initiated after longtime county mental health investigator Greg Monaco went public with how he was told by his supervisors more than a year ago to stop raising concerns of patient mistreatment and neglect to the management of Unity. Monaco's concerns have only grown as he's heard from Unity employees over the past year. They were verified early this month by a scathing report generated by the state's investigation of complaints from Unity Center employees. One of the employees had described the center as a "hell hole." Legacy has said it is making improvements to address the state's concerns. Monaco backed up his account of complaints ignored with emails, including one in May in which he reported a patient death internally, and Rice replied, "Thanks we'll wait to hear from Unity." One of his complaints, that a patient's July 11 suicide by hanging from a bathroom door at Unity, has taken on increased significance in light of the state's warnings in May that the doors there were a hanging risk. The new doors Unity replaced them with apparently did not eliminate that risk, and Unity has since replaced the new doors with curtains. Trent Green, the Legacy official who serves as president of Unity, said the doors that were replaced were of a kind used in other psychiatric facilities. But he and Legacy have declined to comment on the patient's hanging. In response to the Tribune's questions about why abuse and neglect concerns regarding Unity have not been investigated, the county at first issued an Aug. 3 statement claiming it had extremely limited authority to investigate complaints, and could not investigate cases involving patients on the state-federal Medicaid program for low-income people. In an Aug. 4 interview, Hidalgo said it was good that OHA, which he called "an appropriate licensing authority," was investigating Unity. But he declined to clearly answer several questions about the county's ability to investigate, repeatedly referring the Tribune to the earlier county statement. "I hope that gives you the structure and the understanding of what the county's authority is," he said of the statement. On Aug. 13, a county spokesperson followed up with a subsequent statement saying its earlier statement about its authority to investigate — the one Hidalgo had repeatedly referred to — was inaccurate. In short, the county had more authority than was earlier thought. Oregon state Sen. Sara Gelser, D-Corvallis, who spearheaded SB 1540 earlier this year to clarify abuse investigation authority, last week told the Tribune it's "absolutely" incorrect for the county to claim it had no authority to investigate cases involving Medicaid patients. The county was "required" to, she said. Bob Joondeph, executive director of the group Disability Rights Oregon, commented on an earlier Tribune article on Twitter last week. He said that while the ability to levy sanctions changed, "the county always had the authority to investigate." According to the county's statement issued last week, "Multnomah County is committed to responding to anyone in a mental health crisis and assuring their treatment promotes their health and safety." Another disputed claim in the county's Aug. 3 statement was the assertion that Unity Center was required to report some patient deaths, but none had been reported. The county's follow-up statement indicated all deaths should be reported. 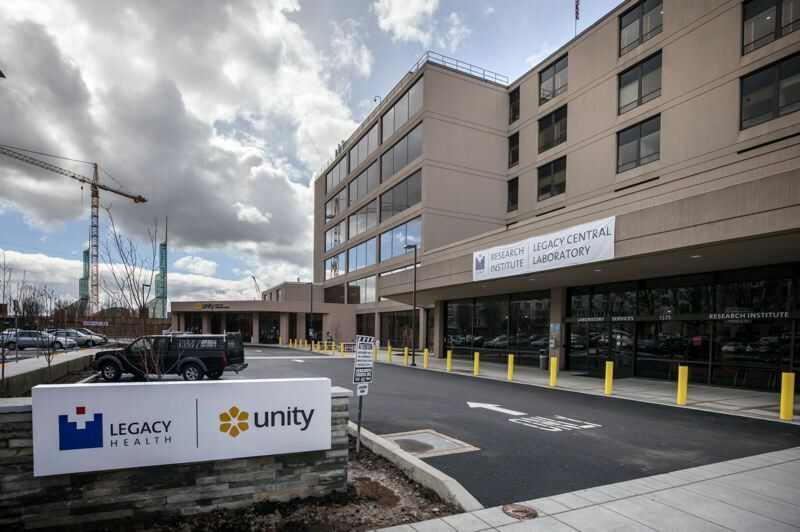 Legacy Health, which has promised transparency around safety issues at Unity, at first incorrectly told the Tribune it could not disclose the number of deaths among Unity patients due to a federal privacy law. Pressed on this claim by the Tribune, it disclosed that two have taken place, and said it had reported them to the county medical examiner's office. Monaco believes the true number of deaths among Unity patients is greater. Following the county's announcement, Monaco called the latest news a "when hell freezes over" moment. He earlier told the Tribune that top county mental health officials tolerated a complete absence of protocol, guidelines and training around the investigation of abuse complaints. He said some of his former co-workers had similar concerns about Unity, but for the most part seemed to be "conditioned" and discouraged by management from following up on complaints. "It just seemed like a cavalcade of turning a blind eye to this," Monaco said. "People didn't know to whom to report things, because nobody really has responsibility for doing anything. And they have abdicated oversight to the corporation."